Cayenne Pepper: Cayenne pepper adds a real kick to your smoothie and works best in water or coconut water based recipes. You can also use it with green juices and cucumber smoothies. Cayenne actually has many health benefits including a boost to your circulation and metabolism as well as aiding in digestion. Goji Berries: Goji berries hit the news as the new antioxidant to add to your diet. They provide amino acids as well as a lot of flavour. They go well with berry smoothies but can be added to just about any recipe. Ginger: Ginger is delicious but also aids in calming tummies as well as boosting your immune system. You can add a nice chunk of fresh ginger to just about any smoothie and freeze it or keep it in the fridge for when you need it. Ginger has also been known to be an effective anti-inflammatory and can assist with headaches and migraines as well as nausea. Chia Seeds: Chia seeds are an excellent source of omega-3, vitamins and minerals, but more importantly they help keep you hydrated. They have to be soaked overnight and when added to juice smoothies they add a lovely silky texture. Bee Pollen: Bee pollen has many health benefits especially for healthy skin. It can aid in fighting acne, age spots and even allergies. If you are an exercise fanatic bee pollen can also aid in building muscles as well as increasing oxygen rich blood cells. Some people may not be too keen on the chalkiness as well as the price. Magnesium Powder: If you want to add a little invigoration to your smoothies magnesium powder will do the trick. Magnesium powder adds a little fizzy fun to any smoothie and also comes in a number of flavours. It also provides a vital nutrient that you are probably sadly lacking. 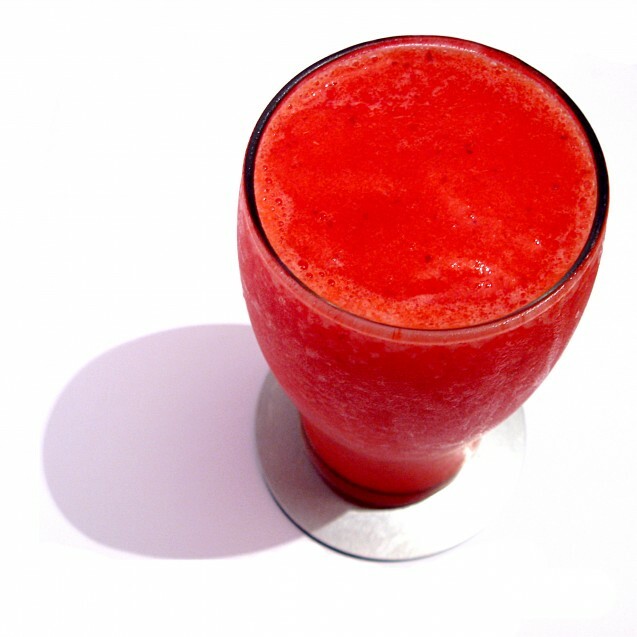 Pomegranate Juice: Pomegranate will add a nice tang while providing antioxidants and fighting bad cholesterol. Kombucha: This is actually a fermented tea and can also add a fizziness to smoothies. Kombucha comes in a number of flavours and is packed with antioxidants and tummy friendly probiotics. Silken Tofu: Tofu is practically tasteless yet adds a nice velvety smoothness to your smoothies. You also can benefit from the fact that it keeps you feeling full longer and has tons of calcium. Flaxseed: You may already be using flaxseed as it is well-known for its omega-3 fatty acids. Flaxseed must be ground to reap its benefits making it easy to add to smoothies. You can experiment with any of these ingredients until you find the right taste and texture and add a whole new line of smoothies to your morning menu.